We're quite certain that Melanie Collins won herself a legion of fans when she cohosted Big Break Florida early in 2014. So we're quite certain that there'll be many happy Golf Channel viewers hearing the news that Collins is returning as cohost of the next Big Break, which begins airing in February 2015. Melanie's career in sports broadcasting continues to trend up, up, up. As part of the Yahoo Sports team in 2014, she even worked the world's biggest sporting event, the World Cup. She can be seen regularly on Yahoo Sports, and, during the college football season just past, as a sideline reporter on the CBS Sports Network. Collins has been spotted in other high-profile gigs, too, such as filling in for Michelle Beadle on ESPN's SportsNation. 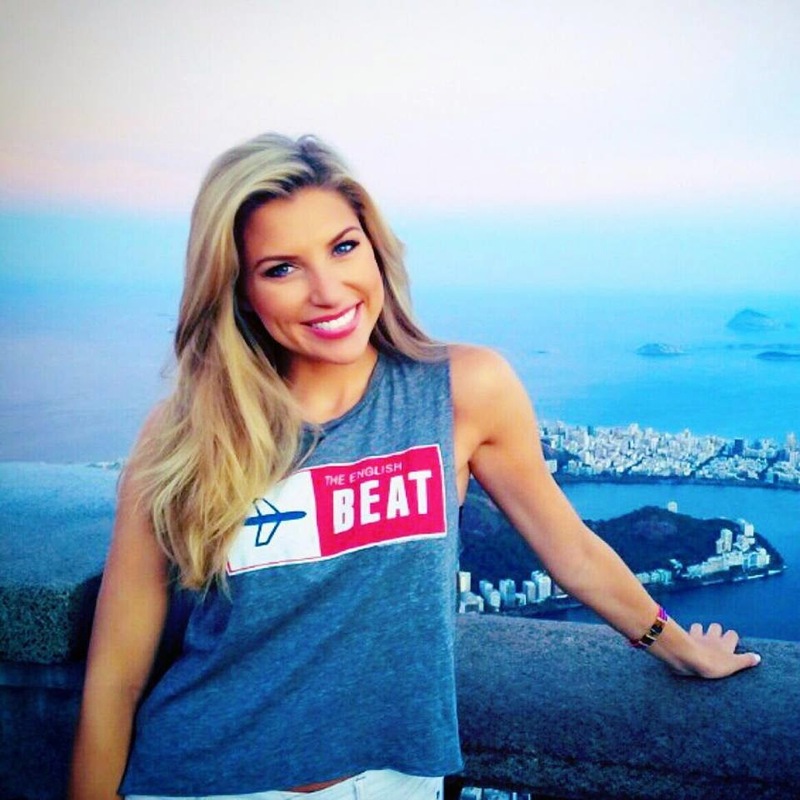 "Melanie Collins is a Sports and Entertainment host, anchor and reporter. She is currently the face of Yahoo! Sports, co-host of Big Break on Golf Channel and contributor to The Insider on CBS. Collins will report from the Olympics, World Cup, Super Bowl and World Series in the coming year, among other marquee sporting events. Prior to joining Yahoo! Sports, she covered the NBA for NBA-TV and Turner Sports, College Football and Basketball for the Big Ten Network and Total College Sports, as well as Major League Baseball for MLB.com. She's hosted segments on PGA.com, PGATour.com and Nascar.com." It's a pretty easy call to say that Melanie is well on her way to being a star.